We are delighted to confirm that our clients can now test out the Ski Mojo at several of the UK’s indoor snow slopes before they buy. All our Ski Mojo representatives know our innovative product well, are highly experienced skiers and already use it themselves. That means they can help anyone who wants to try out a Ski Mojo before they buy. If you’d like to try a Ski Mojo at one of these centres, then please send a request to info@skimojo.com and we will put you in contact with the relevant centre representative. It’s then between the representative and you to arrange a time to suit. Please bear in mind that you will need to purchase slope time at all of the centres and adhere to the normal terms and conditions of each centre – but who doesn’t love a bit of extra skiing! The Ski Mojo supplements the power of the leg muscles, reducing impact, substantially delaying muscle fatigue and alleviating leg and knee pain. 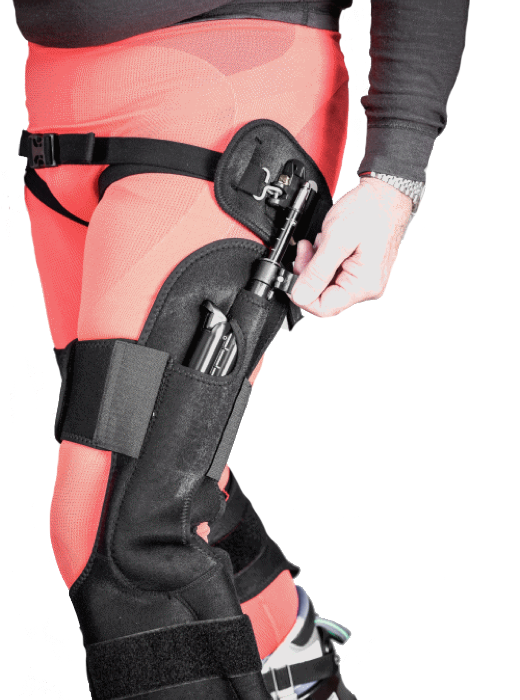 The Ski Mojo is an exoskeleton for the legs with a comfortable knee support containing powerful springs. 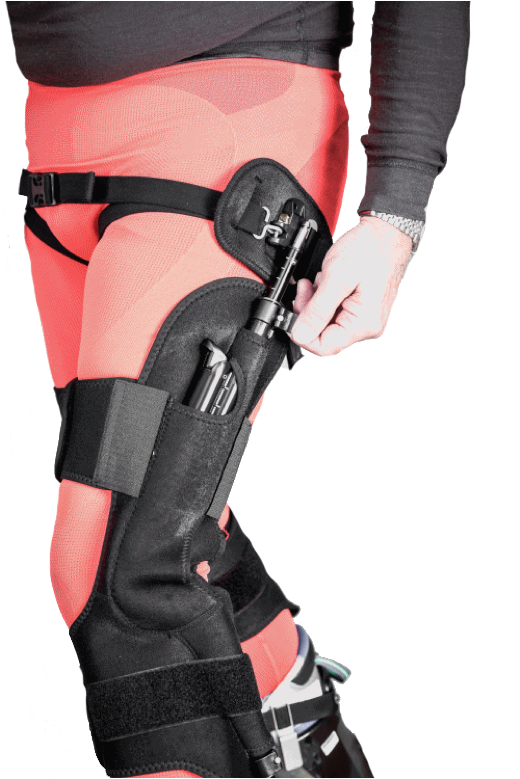 Easy to use and worn under ski pants the ski~mojo is totally discreet. Can you still ski without an ACL? Award winning patented product which has helped thousands of skiiers and boarders stay on the slopes for over 10 years.